Butterfly learns by itself and grows with your baby. Butterfly easily clips to clothing and periodically senses tiny natural signals coming from a baby's body and diaper. 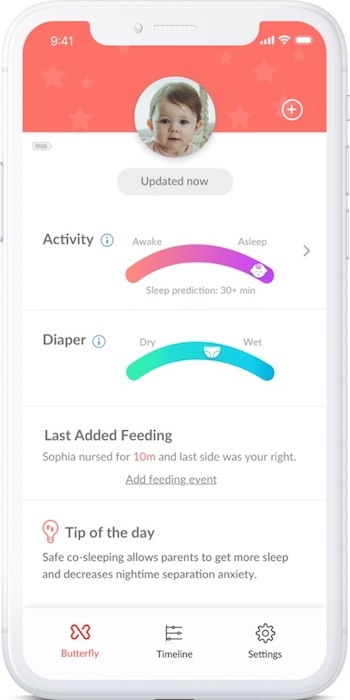 Using artificial intelligence these tiny signals are translated into realtime insights such as breathing and sleep patterns, sleep quality and diaper wetness events. Butterfly only communicates to a phone when asked or when it's needed, using Bluetooth Low Energy (BLE). 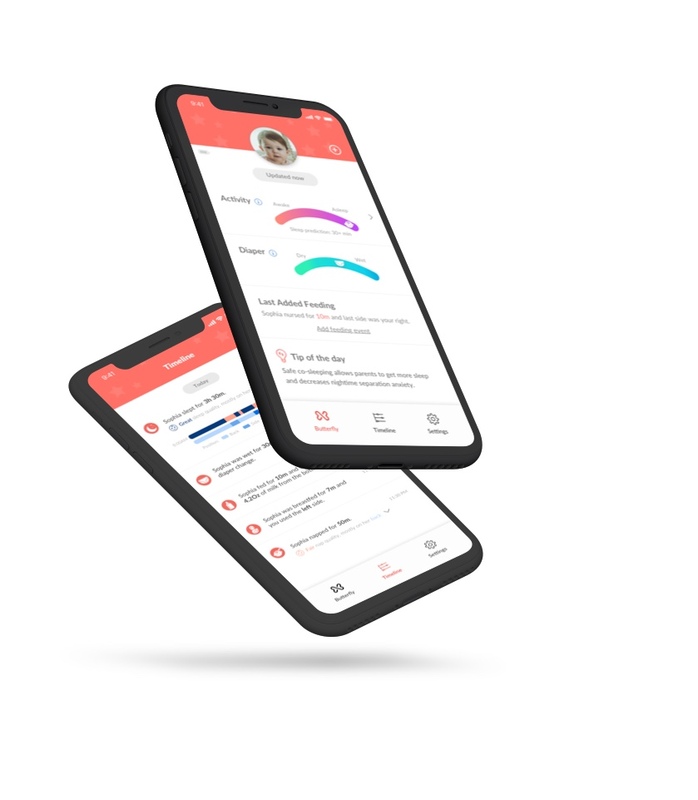 Butterfly has been under development for the past five years and been in beta testing for the past two on newborns and children up to five years old. 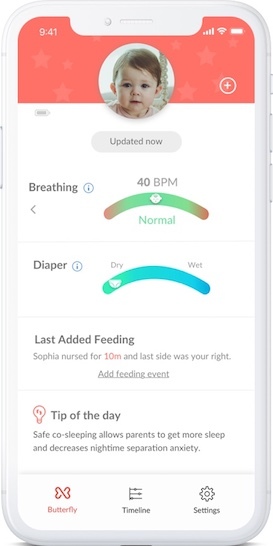 Butterlfy's ultrasenstive breathing technology detects a baby's tiny breathing signals and movements to accurately calculate her breathing rate (BPM) under all sleep positions. Notifying parents and caregivers if they need to check on her. Butterfly's Sleep Anywhere technology combines breathing, movement and environment monitoring to enable Butterfly to track sleep in the crib, in the swing, in the car and even when the baby is being held. Butterfly's smart over-clothing humidity sensing technology allows it to detect wet diapers and changes over a variety of clothing, such as onesies and footies. Notifying caregivers when it’s time for a change and logging those diaper changes throughout the course of the day. to help parents better meet their changing needs.